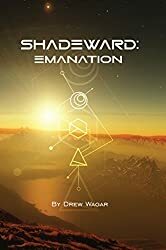 Shadeward Exoneration is on its way and Kiri will return! Apologies for an awfully long gap in blog updates. I used to manage this on a weekly basis, but I’ve been rather busy with various things, most of which I can’t talk about. You’ll be pleased to know I have been doing quite a lot of writing however, but most of my efforts over the last few weeks have been involved in editing. 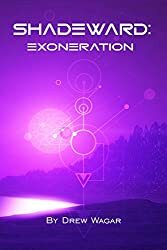 My current WIP – Exoneration, the second Shadeward Saga book, is very nearly complete from my perspective. 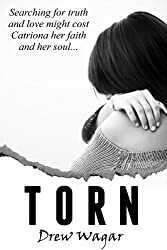 The story is written, all the alpha reader feedback is incorporated, massive amounts of editing has been done, I’ve written up the ‘thanks’ section (always the last bit!). I’m currently giving it a final once over before it wings its way back to Fantastic Books to be turned into a novel. As you’ll remember from last year there’s still plenty more work to do: typesetting and cover design not the least of them, but it’s all in good shape. So, it won’t be long before you’ll be able to catch up with Kiri, Meru, Zoella and the rest of the cast of Shadeward. I’ve been told book 2 is even better than book 1, it certainly is more dramatic. I’m confident you’re going to love it just as much! I’ve been working on another project and we’re planning an announcement about it in June. Who’s we? That would be telling at the moment, but I think you’re going to enjoy this. 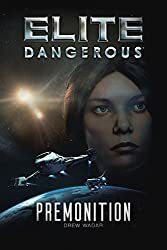 Before CMDRs get too excited, no – it’s not an Elite novel, but it is, in some ways, rather similar and can trace its origins back to the same time-frame as that seminal space trading game. It’s another game tie-in novel, something that you may recall I said I almost certainly wouldn’t do! Well, this one is a rare exception to that rule and an opportunity not to be wasted. Dare I say it, but this game is a little bit more sophisticated than Elite and was equally revolutionary at the time of its creation. More details to come next month. Write on, Commander? Not at the moment. Well, no news is… no news at this point in time in regards to any future books. Frontier Developments are very busy with the beta for ‘Engineers’ v2.1 as I write this, so I don’t expect to hear anything for the foreseeable future. The only book project which is in flight at the moment is Dave ‘Selezen’ Hughes’ RPG, which is due out during the summer. This should be a must have for ED lore fans as it will contain a wealth of background detail on the Elite universe. Salomé, however, is currently taking part in some interesting events. If you didn’t catch her arrival at Beagle Point, it’s worth a look. Keep an eye out for her. I jumped on to FireyToad’s twitch stream the other week, alongside Mahdogg and had a very entertaining discussion about writing, and the Formidine Rift mystery, alongside other things. You can listen to the recording here. Thanks to the guys for the interview and the links. I also have an AMA (Ask Me Anything) on the Elite Dangerous Reddit site coming up on the 29th of May at 6pm (BST, GMT+1). So in summary…. Exoneration is almost ready, an exciting new project is waiting in the wings and Shadeward 3 is planned to follow on in 2017. 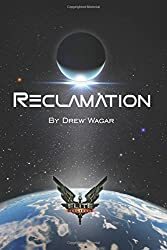 Plenty more Wagar fiction to come. As always, you can follow progress here. Exoneration - First draft complete!